Rich Farmers: Was Country In 1981 Really That Bad? 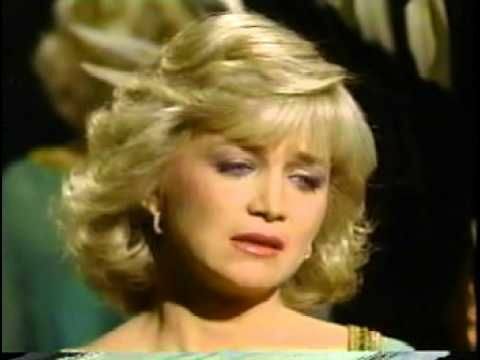 Was Country In 1981 Really That Bad? Memories are strange, wondrous things. Sometimes a memory of a particular time in one's life is colored by a general "feeling"; perhaps a feeling of melancholy or boredom or apathy. At the ripe old age of twenty-six, I'd grown indifferent toward music. I'd actually begun listening to "oldies", which in that year consisted of fifties music I'd never heard the first time around. I know I'd grown cranky with country music, and it wasn't my fault. The production was sluggish -- soft tinkling pianos, a faint whiff of a violin; everything very quiet -- and producers were bending toward remakes of pop songs. Nashville wasn't even trying anymore; yet they expected me to buy their crap. Granted, our country was as sluggish as the Nashville music scene, which didn't help. I might still be paying off the twenty-one per cent interest rate on my credit card purchases; I'm not sure. Anything I needed to buy -- for my kids or for the house -- essentially required a bank loan, which was nigh impossible to obtain, seeing as how everybody was defaulting so they could afford to fill their tanks with gas (thanks, Jimmy Carter). I could have done a better job running the country, and I was a dolt. Just when I was at my absolute poorest, our president was on TV lecturing me that it was my own damn fault, and that I just had a bad attitude. Just what I needed in my circumstances -- a stern lecture. He was like my mom. We had hostages in Iran, which Ted Koppel reminded us of every night on Nightline. "This is day four hundred and three." MTV was created in 1981, but it hadn't hit my airwaves yet. Soon I would abandon country music for Dire Straits and Phil Collins. What we remember from a particular year isn't necessarily what Google tells us to remember. In browsing the number one country hits from 1981, I find lots of gems. Why don't I remember those, instead of singles by Charly McClain and Sylvia and Crystal Gayle and Alabama? I don't think it's my fault. I blame my radio. It was as if the disc jockeys got together and conspired to play the absolute worst tracks over and over, because, frankly, they hated country and they needed to teach us a lesson. In hindsight, I turned away from country just as country was turning, and I missed the renaissance. I missed George Strait because of those damn DJ's. They kept feeding me, "Your nobody called today" until I found myself bent over the toilet bowl. Country music in 1981 was better than I remember it, no thanks to my local DJ's. Truthfully, I would list at least three of these singles as classics. Which, once again, proves that my memory is woefully deficient and that Jimmy Carter messed with my brain. I'm giving 1981 one thumb up.